Lost Dog Foundation is a non-profit organization devoted to improving the lives of homeless and abandoned animals in critical need and to finding them loving forever homes. We concentrate efforts in the metro Richmond area of Virginia where Lost Dog Foundation is part of a network of volunteers who transport rescued dogs from high kill shelters in the South Carolina and Georgia to foster and rescue destinations in the North. Assisting in transporting dogs allows them to make it out of a death sentence and be able to find new lives in areas where they have much better chances of adoption. Lost Dog Foundation is not a physical shelter, however we work with private fosters in central Virginia to provide temporary care for rescues and assist with medical needs. We have been working the last few years to rescue homeless and mostly feral dogs out of a rural landfill in the Richmond area, and have found homes for many of these dogs locally. We are especially interested in helping dogs who are kept on chains and forgotten about by owners, and do outreach in this capacity whenever possible. We are also committed to reducing the feral cat population and work actively to trap, neuter and return (TNR) cats as much as possible. Lost Dog Foundation is a registered 501 c(3) charity and all donations for donors in the US are 100% tax deductible. LDF also does extensive international outreach work in Mexico to assist dogs in dire need of help. We work with and assist grass-roots animal welfare organizations such as Help Tulum Dogs (which we co-founded), Tierra de Animales in Cancun, Coco’s Animal Welfare and Isla Animals. Starvation, disease, abuse and neglect are daily crises for dogs and cats on the streets. 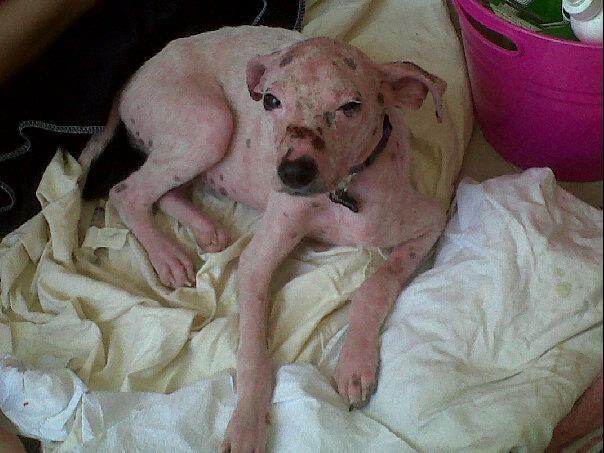 The conditions of many dogs who are lucky enough to be rescued are dire, and only the strongest will survive. It is critical that local rescues receive financial and organizational help to be able to care for these animals, as Mexico has no organized or official SPCA or humane society that helps animals at all. Lost Dog Foundation is actively organizing and conducting spay and neuter clinics whenever possible, as it is the humane and smart solution to being able to diminish the size of the homeless animal population. Frequently, LDF personally transports puppies and dogs from Mexico to the US to find forever homes, or delivers them to their waiting adoptive families in the US. We also sponsor the flights for others, either in our care or with other partner organizations, to make it possible to get dogs to forever homes. Additionally, donations that we receive help with the medical costs and general needs for dogs who come to the US under our foster care. LDF has successfully placed more than 600 dogs and puppies in wonderful homes in the US and Canada in the past 7 years…saving lives and changing lives!